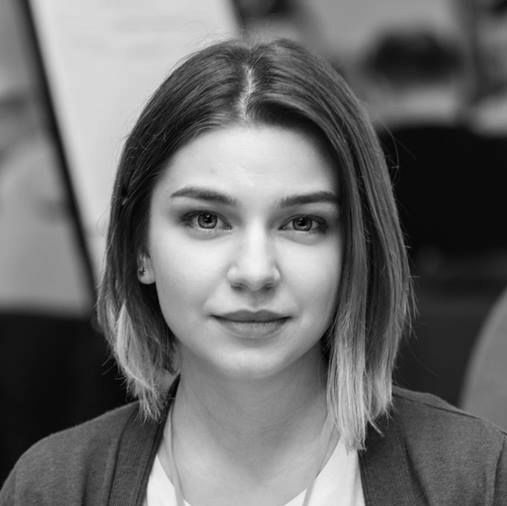 Vlada Ciobanu has been program manager at National Democratic Institute Moldova for five years, managing youth and opinion research programmes. She holds a Master of Arts in Global Media and Communications at the University of Warwick, United Kingdom and a Bachelor in Political Science at the State University of Moldova. Trainer on community organising, advocacy, fundraising/ crowdfunding, message and literature development. Research interests: mass-media, NGO funding, crowdfunding and urban management. Manager of the Challenger youth program – a competitive one year program that offers intensive training and practical exercises to a group of young professionals. The aim is to form a generation of pro-active people will get involved in political parties, public institutions and NGOs. Facilitator between the central offices and polling companies in the Opinion Research program. • Editor of NDI publications in English and Romanian – newsletters, program presentations, factsheets etc. • Trainer on online and advocacy campaigns, messaging, literature development and grassroots communication. Manager of two local advocacy program, involving more than 20 volunteers and two youth get out the vote campaigns, involving more than 200 volunteers.